It makes sense to start this post with the most famous (or well known) of military Roamers are those produced for the Rhodesian (Zimbabwe) bush war (July 1964 and December 1979) – which were a hacking MST520 manual wind movement. 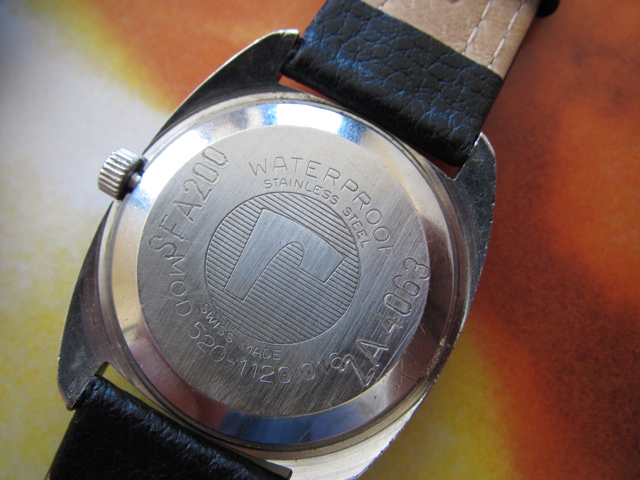 These were sourced via South Africa due to the Rhodesian trade embargo, and are alternatively marked, RA (Rhodesia), ZA and Z (Zud Afrika), and the watches must have been sourced between 1973 when the MST520 movement was introduced and 1976 when production ended. You will note this example (mine) is marked ZA4063 and also SFA200. 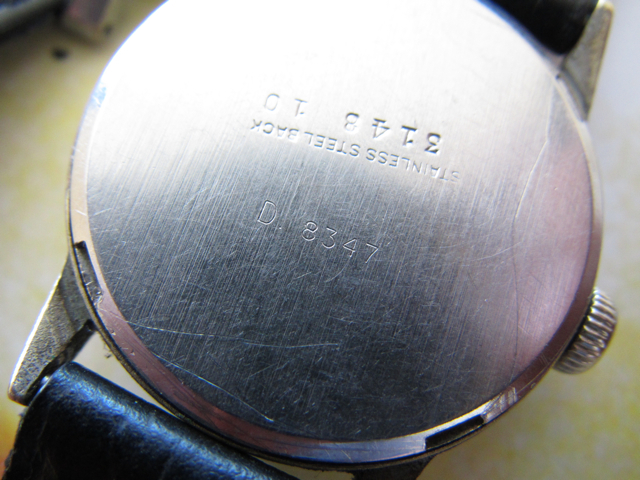 The SFA could be the Security Force Auxiliaries that was created in 1978, well after production of the watches ceased. I would guess the watch was reissued to the SFA on its formation, unless the abbreviation turns out to mean something else. 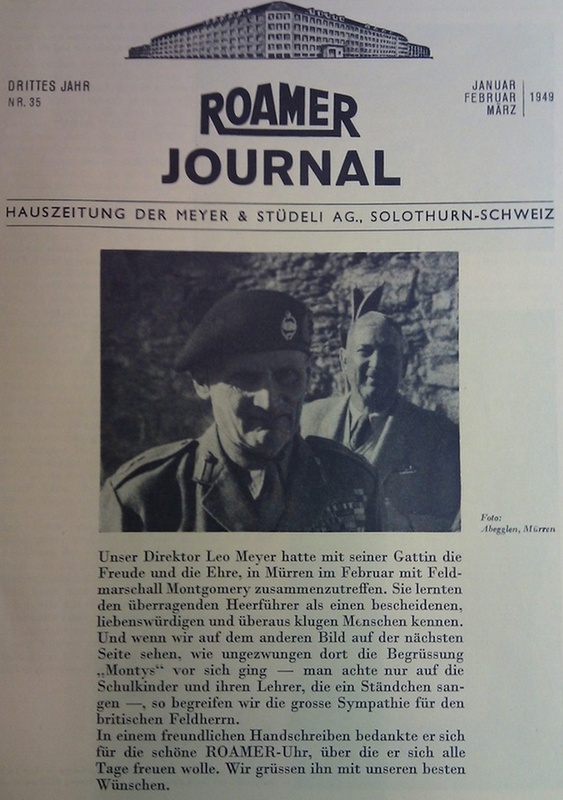 Moving on from the well known, let us head back to WWII and look at Roamer’s involvement. 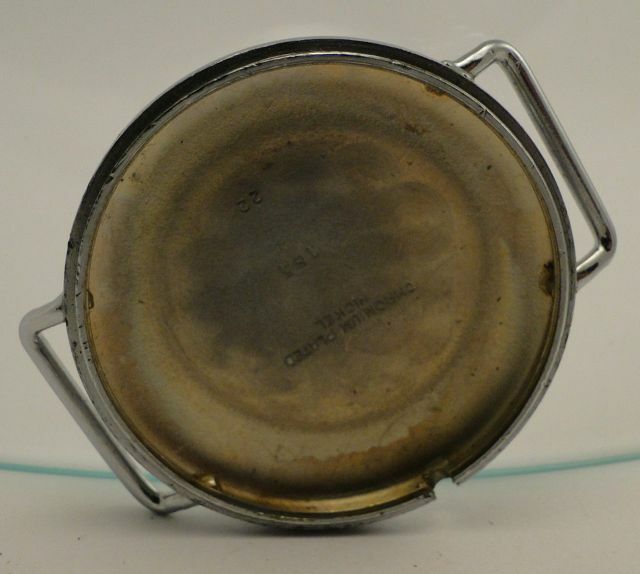 Firstly Roamer watches were available to Allied military personal in the PX – they produced shock resistant and waterproof watches that were ideal for private purchase. The following advert run in Life Magazine 1954 – clearly states the purchase of the writer’s roamer watch from the N.A.A.F.I (Navy, Army and Air Force Institutes) in Italy – unfortunately there is no mention of the model. 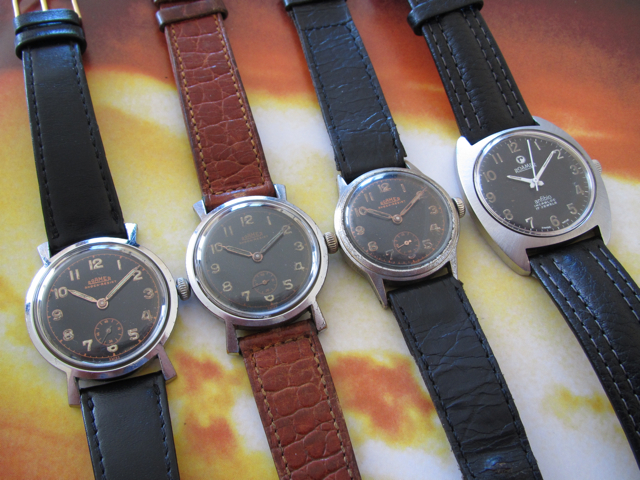 The three (non Rhodesian) Roamer watches are D. marked, fitted with an MST364 movement launched around 1940 and fitted with shock protection. The cases fitted to the D. 6852 and D. 7719 were patented in 1940 and are marked with their D. numbers using the same templates, and are identical in all other respects. The case is fully waterproof, and somewhat unconventional for military specifications of the time – and certainly exceed the watertightness of the conventional waterproof cases usually specified. I understand the the specifications for the Luftwaffe (D. marking) were somewhat looser than the Wehrmacht. 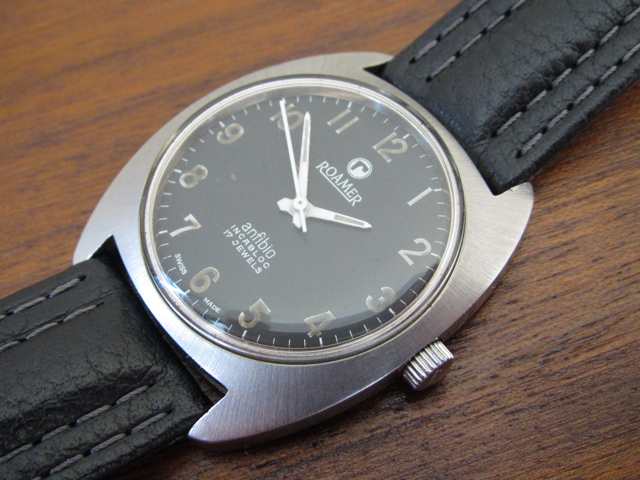 Roamer was always a little different, a very independent watch manufacturer. The style of the lugs reflects the Bauhaus geometric elements of the late 1930s. The last watch D. 8347 is in a more conventional waterproof case, that more closely matches the other other DH watches of the time. Otherwise it features the same dial (albeit slightly smaller), hands and movement as the previous 2 watches. It is no surprise that the change to the case style was made, as the patent case was very expensive to produce. 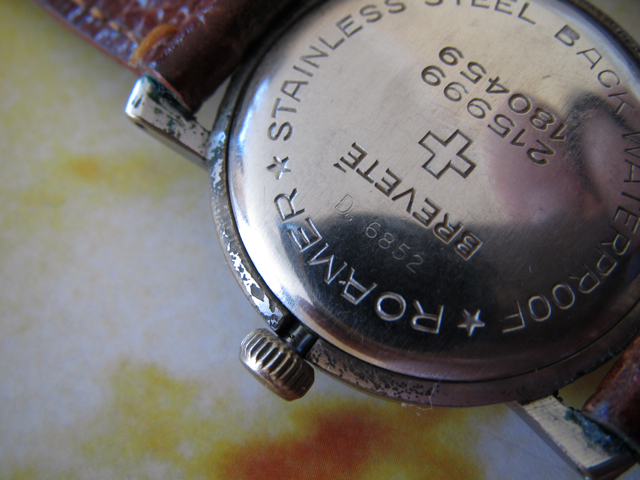 I think it is worth stressing that this watch is marked with exactly the same and very distinctive ‘8’ as D. 6852. 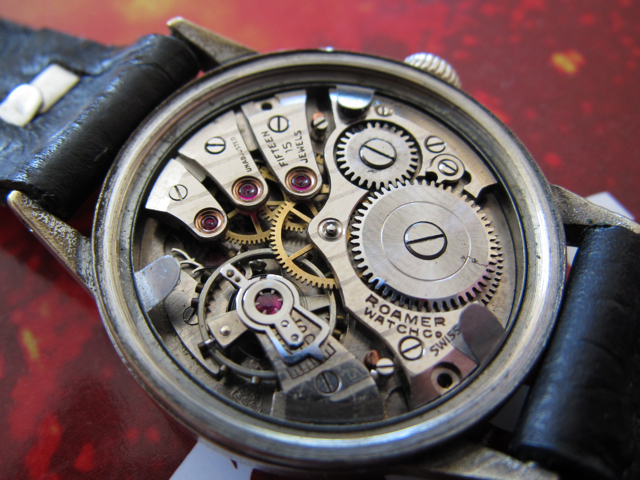 There is another identical watch to D. 8347 owned by a member of the uhrforum.de with the number D. 12234. 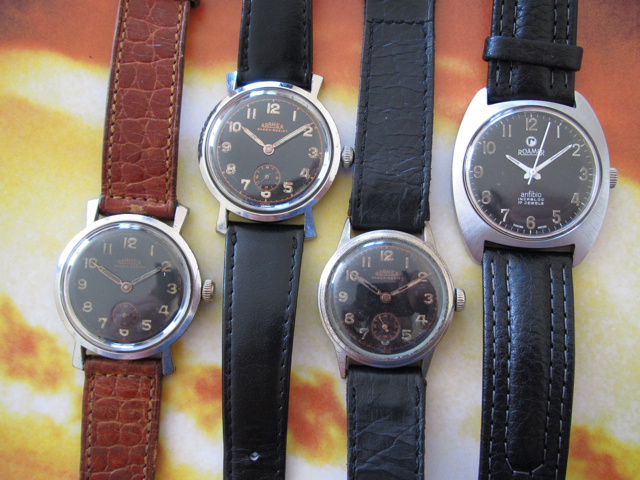 The dials on all three of mine are original – being copper plated then overprinted with a negative of the dial – standard for Roamer of the late 1930s period and very durable. The hour and minute hands on D. 7719 may have been replaced – but they are otherwise sympathetic – so it is difficult to be certain, especially as they are correctly copper/rose gold coloured. The movement is common to all three, being identical in every respect, from bridge marking to the patent numbers on the shock-resist cap jewel retainers. 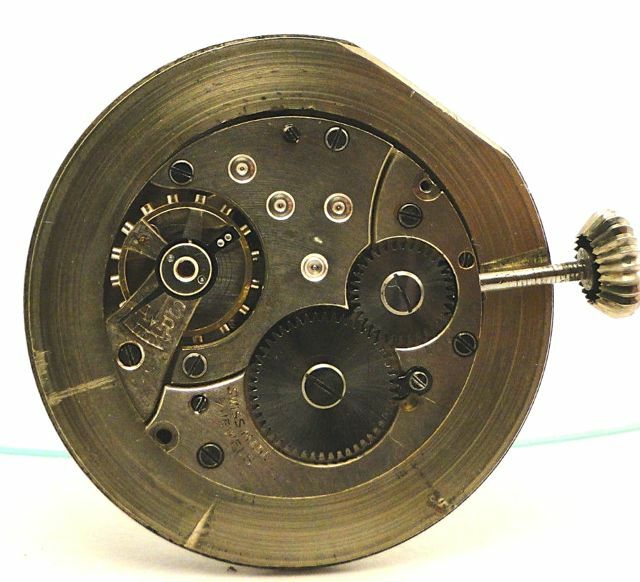 They are clearly from the same production run, as in general Roamer movements vary considerably over time, with respect to market, markings and finishing. This movement is finished with the characteristics of prewar production – postwar production featured plain finishing without geneva striping and usually 17 jewels, this is certainly true from 1944 onwards, and potentially true a few years earlier – subject to additional data. The Roamer chairman at the time was strongly anti-communist and therefore, at least in the early days in favor of the regime, while interestingly his brother-in-law and fellow director on the board was strongly anti-nazi. 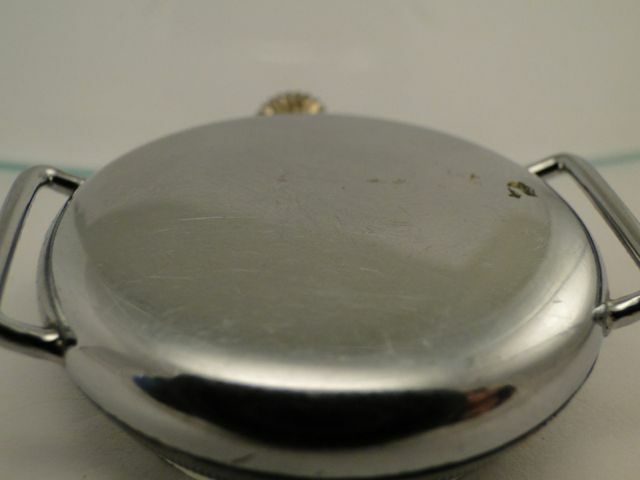 They must have had some heated discussions, and perhaps explains to some extent why the watches seem to be produced only in the early war period. Here is a final group shot. Unfortunately there are no Roamer archives remaining for this period, and therefore nothing can be confirmed absolutely. 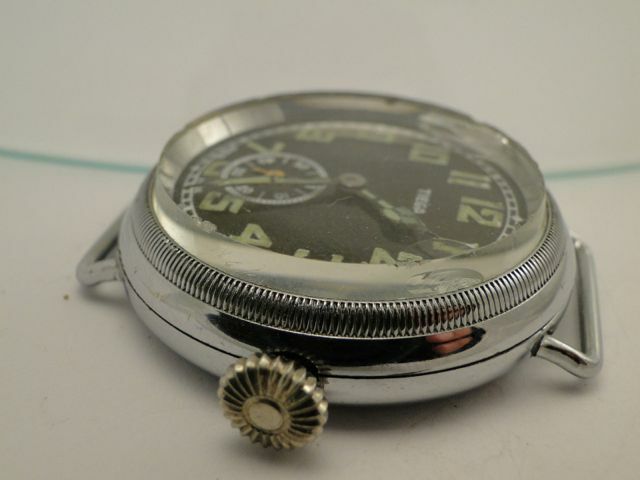 Even earlier, Roamer produced what appears to be a 1920s/30s Flieger – of which there are several examples around powered by MST264 movements. While they appear to be classically styled Fliegers, I doubt they were anything other than fashion ‘lookalikes’ as the bezel does not rotate and cannot therefore utilize a pointer which of course was the Raison d’être for the watches. 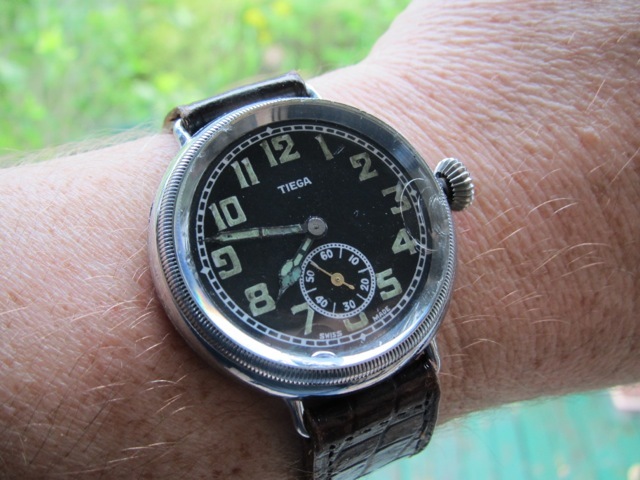 The following photos show my Tiega version (made by Roamer) – which is identical in every way to the more commonly seen Roamer, except for the Tiega dial and MST manufactured Tiega movement. Our Director Leo Meyer and his wife had the pleasure and the honour of meeting Fieldmarshal Montgomery in Muerren during February. They learnt that this outstanding military leader was a modest, most likeable and very wise man. And as we can see over the page Monty’s welcome was a relaxed affair, just watch the children and their teacher, who were performing a welcome song, which shows the great regard for the British Fieldmarshal. In a simple personal handwritten note Monty thanked Roamer for the lovely watch, which he felt will bring him joy every day. 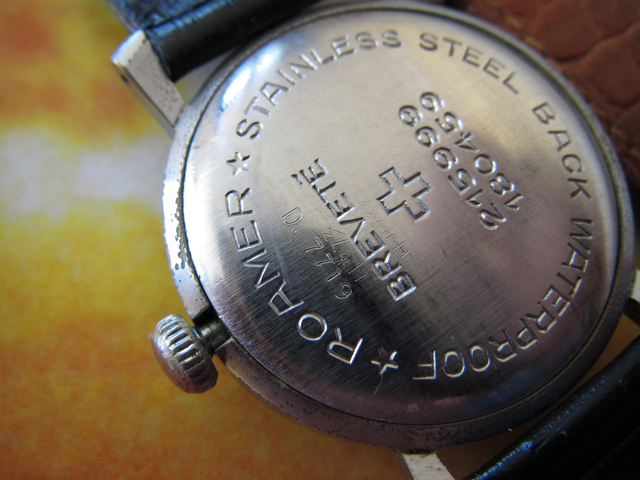 In the 1950s Roamer made a lot of effort to promote its patent waterproof case, and shock proof durable sports watches. These were featured ongoing advertising campaigns, and while perhaps not officially issued military watches – were clearly used and promoted in these roles. Here are some of these adds, presented here for fun! The following Swiss Captain and Bicycle racer won his Roamer in 1939 in a Military Bike race. The following British Tank commander used his Roamer since 1945. The following British Major bought his in Cairo in 1942. This Roamer survived 17 days stuck in the conning tower of a British Submarine. As used by British Test pilots. This entry was posted in Uncategorized by Trim. Bookmark the permalink.